BBQ Ribs: tender, delicious, fun!! 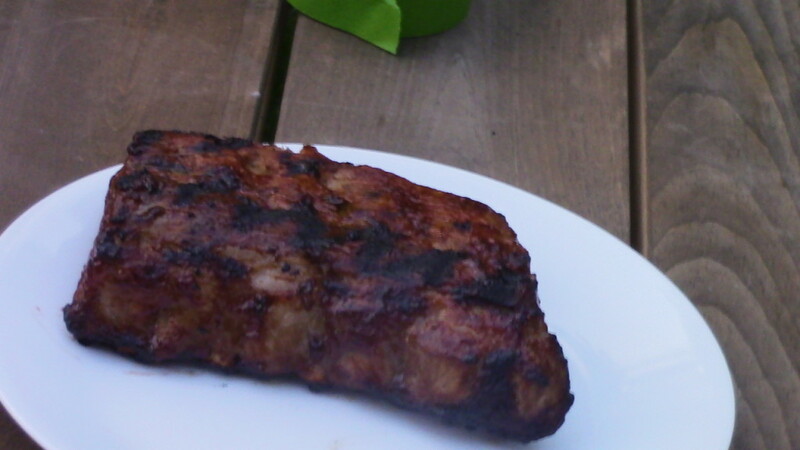 For some reason, BBQ ribs seem to be one meal you never eat alone…whenever I cook ribs, I am cooking for a crowd. Here is my best recipe and best process. From ‘way back in my restaurant days, I have been a big believer in pre-cooked ribs. The last step, slathering them with your favourite BBQ sauce (I like Sweet Baby Ray’s) is the most fun and easy to do even with a whole yard full of company. Because the ribs are pre-cooked, you don’t need to worry about food safety and fully-cooked pork.